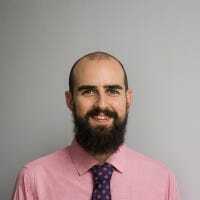 Maybe you’ve recently reset your entire network or made the switch from a wired connection to a wireless one. Either way, you’ll need to make that connection happen. Here’s how to do it in Windows 10. 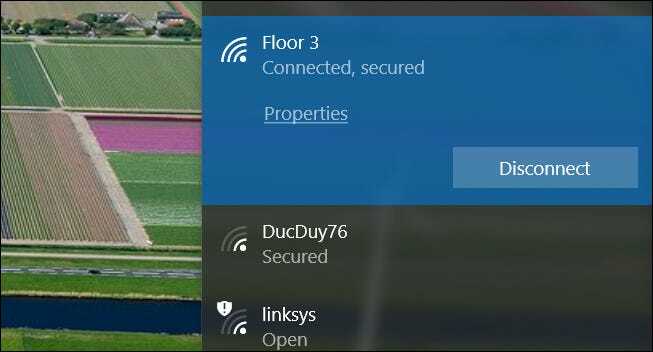 The first thing you’ll need to do is make sure Wi-Fi is enabled in Windows so that your computer can “see” the available networks in your area. Click the Wi-Fi icon in the taskbar, and then click the “Wi-Fi” button. When enabled, the Wi-Fi button turns blue instead of gray. After you’ve enabled Wi-Fi (or it was already enabled), you’ll see a list of networks that you can join. Just click the network you want. 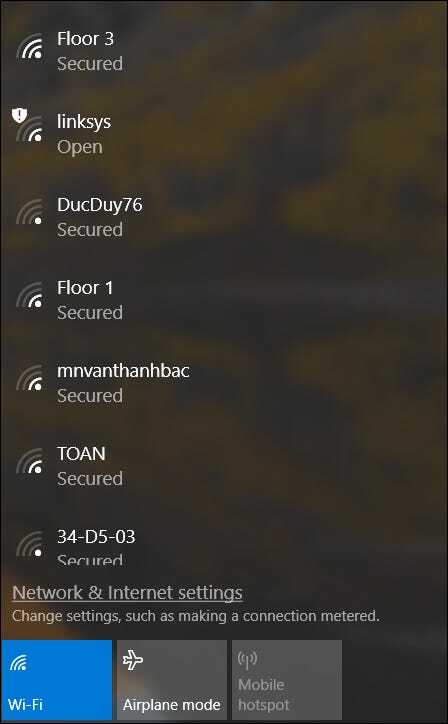 So, what if you’re in an area with lots of available Wi-Fi connections, and you aren’t sure which one to join? If you’re in your home, check the bottom of your Wi-Fi adapter (or router/modem if you have a combo unit). The default Service Set Identifier (SSID)—the name of your home network—is usually on the bottom or back of the device. There’s usually a default password printed there, too. Write that down, because you’ll need it to join the network. If you changed your default network name, and don’t remember it, you’ll either have to sign in to your adapter or router’s admin page and change it, or reset the device if you can’t remember your credentials for signing in. When you have the network name and password in hand, all you have to do on your Windows 10 PC is click the name of the network you want to join, and then hit the “Connect” button. If it’s a network you’ll be connecting to regularly, you might want to tick the “Connect Automatically” box so you don’t have to open up the network settings in the future. 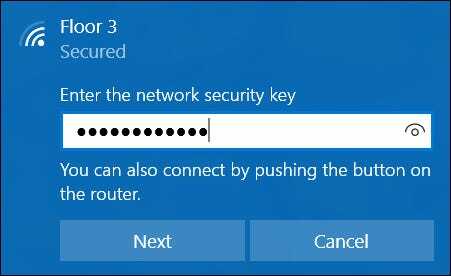 Next, Windows prompts you for the security key, or password, to your modem/router. Go ahead and type that in, and then hit the “Next” button. That’s it. Now you’re online and able to use the internet on your Windows machine! What If You Can’t Connect? Start with the obvious. Make sure that you’ve got the correct name and password for the network you’re trying to join. Try restarting your PC and rebooting your router. You’d be surprised how many problems that can fix. 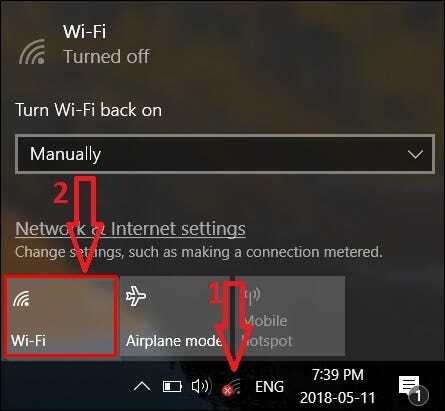 If other devices are connecting to your Wi-Fi network okay, you’ll have to focus on why your Windows 10 PC can’t. If you’re not able to turn Wi-Fi on at all, hit up the Windows Device Manager and make sure your Wi-Fi adapter is actually working. You can also try resetting your Windows 10 network settings, and starting from scratch. If you’re connecting, but getting very low speeds or dropped connections, you may be able to make your Wi-Fi signal better. And if you’re able to connect to Wi-Fi, but not the internet, you can check out our guide to troubleshooting internet connection problems.